In a move that would have been unthinkable just a few years ago, Nokia today announced that it would move to Microsoft's Windows Phone operating system as its primary smartphone platform. 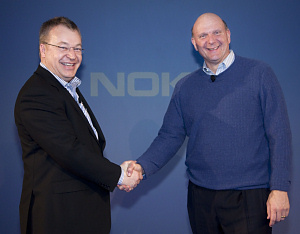 The move ends months of speculation about the direction that new Nokia CEO Stephen Elop would take the company in. 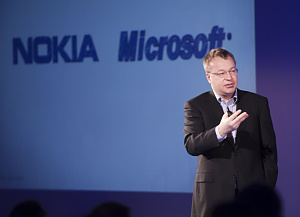 A stark memo from Mr Elop to Nokia employees laid the groundwork for this announcement by bluntly exposing the weaknesses in the way Nokia has done business, a weakness that has been apparent to outside observers for some time. Last summer we published our own "Letter to Nokia" expressing serious concerns about Nokia's future, and it seems that we were not alone in our opinions. 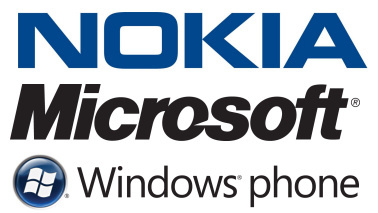 Under the new plan, Nokia will work closely with Microsoft to bring Windows Phone to customers, presumably starting with a development of Microsoft's new Windows Phone 7 OS. Nokia will help Microsoft to develop and improve the Windows Phone line, something that will be a significant benefit to Microsoft. Nokia maps will also be integrated into Bing, and Nokia's content and application store will be integrated into the Microsoft marketplace. Nokia acknowledge that there is still plenty of life in the Symbian OS, but in future it will be a "franchise platform" (whatever that means) and they intend on shipping many millions more Symbian devices. Nokia's other operating system - and one that has yet to produce a phone - is MeeGo, the successor to the Maemo OS running on the Nokia N900. MeeGo now looks like a huge strategic disaster as the delays in getting a product to market have crippled Nokia's high-end strategy. Nokia still say that they intend to ship a MeeGo device this year (possibly called the Nokia N9), but Nokia say that development will take a different path to explore longer-term mobile operating system capabilities. Perhaps MeeGo will end up on a Nokia tablet (where it start out life on the Nokia 770), but this move has probably killed interest in the OS as far as mobiles are concerned, and Nokia could well cancel the N9 if there's no consumer interest left in this platform. At the same time, Nokia is reorganising its business units and reorganising senior management to move away from the traditional "Finnish" structure to something more "hybrid". This strategy is a huge risk for Nokia - but probably a necessary risk to take. Symbian has been slowly dying for years, MeeGo has failed to produce anything, and the high-volume but low-margin feature phone business is being eaten away by brutal competition. Windows Phone 7 has not been a massive consumer success, but nor has it been a flop. Bringing Nokia on board in terms of both handset sales and development expertise is a big boost for Microsoft's strategy. Overall, Microsoft do seem to have the better result from the deal. At present there's no word on when we'll see a Windows device from Nokia. Presumably Nokia is starting from zero but will use Microsoft's specifications to build a handset.. unless (of course) they contract design and manufacture out that is.